Manage your property portfolio, assets, and maintenance operations in a single cloud-based CAFM system. Often, property managers find it difficult to stay in control of their internal maintenance operations. Getting the right visibility of asset registers, compliance, repair issues and planned maintenance activities, can be challenging. Joblogic gives property managers a holistic view of their estate with all assets and jobs stored within a central user-friendly, cloud-based system. It can be accessed anytime from any device. Joblogic holds a full asset register for each building in your estate. 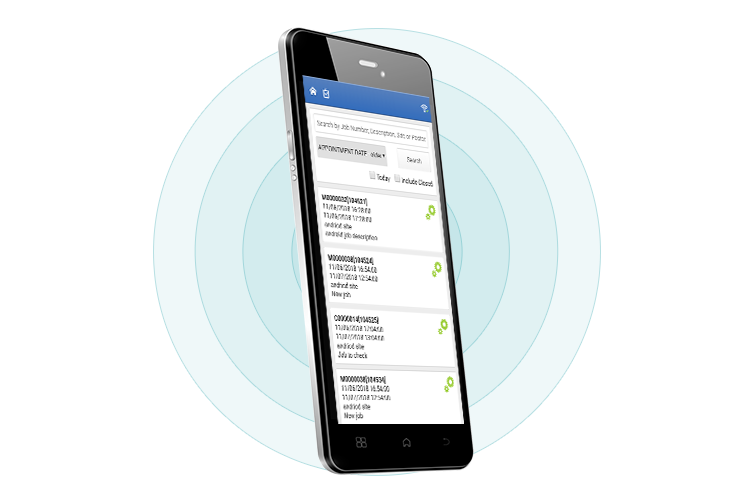 You can carry out asset surveys using our mobile app and QR code each item of equipment. This ensures the most accurate asset list possible. The condition of asset reports and a full history of both planned and reactive maintenance are available at the click of a button. You can create planned maintenance schedules using imported SFG20 data (if required) to dispatch to contractors or your employed engineers. 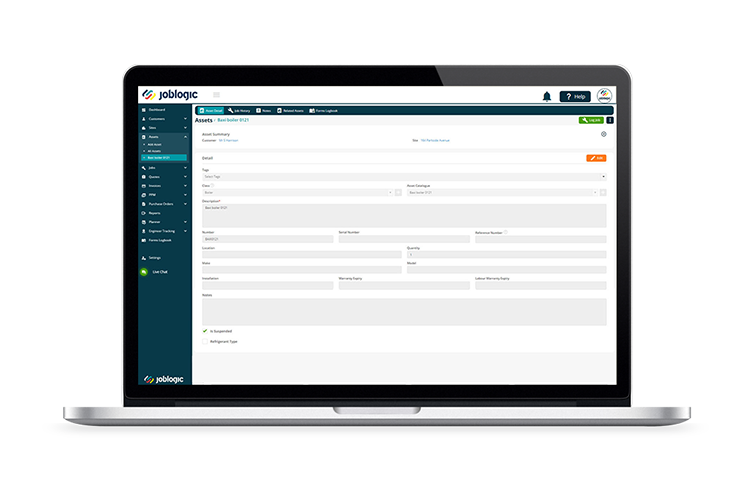 Joblogic has a powerful sub-contractor portal enabling you to deploy jobs to your contractors. You can filter contractors by trade, qualification and region, to make sure you get the right people for the job. Jobs can be sent with an associated purchase order so you can track the cost of maintenance. Contractors can update the portal in the field, and give you real-time updates. They can also invoice via the system and attach documents such as compliance forms and photos. Joblogic has powerful reporting options. 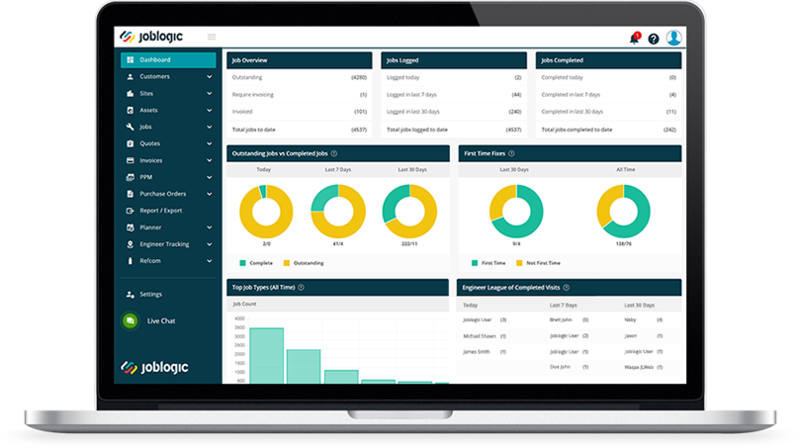 Whether it is a visually stunning dashboard or raw data which needs importing to a third party system, we can help you. Reports include asset condition, job costing and site-by-site expenditure. Joblogic also has a full F-Gas module developed in partnership with Refcom. If you have any equipment that uses refrigerant gas, we have a fully compliant log book for each site.